My simple achievements have inspired a lot of young people in the neighbourhood. They use my story to encourage girls on behaviour, and attitude towards life in general. 27-year old Chileshe Chikombola is modest about what she has managed to do with her life so far. What she calls her "simple achievements" are anything but - starting life in an impoverished household, she has become the first in her family to progress to further education. As a trainee nurse at Kalulushi Nursing School, she is pursuing her passion to boost the health and wellbeing of her community. What Chileshe has achieved is a fantastic example of what young Zambians can do when Cecily's Fund helps them to unlock their potential. Born in Kitwe, Chileshe and her siblings were raised by their single mother. She first attended Natwange Primary School, and with the support of Cecily's Fund to meet the cost of school fees she progressed into grade 8. Chileshe's family had what many Zambians consider a luxury - the ability to educate a girl. During her time at Chimwemwe Secondary School, Chileshe saw poverty taking its toll on her peers. Many could not afford their fees; some dropped out of education due to early pregnancy; others were married too young. With the support of Cecily's Fund, Chileshe was able to complete secondary school, graduating from grade 12. Chileshe believes that withour the support of Cecily's Fund, her life could have been very different. After graduation, Chileshe was trained as a Peer Health Educator by our partners CHEP. The crucial health information and self-confidence she had been given as a student, she was now able to pass on to her younger peers. 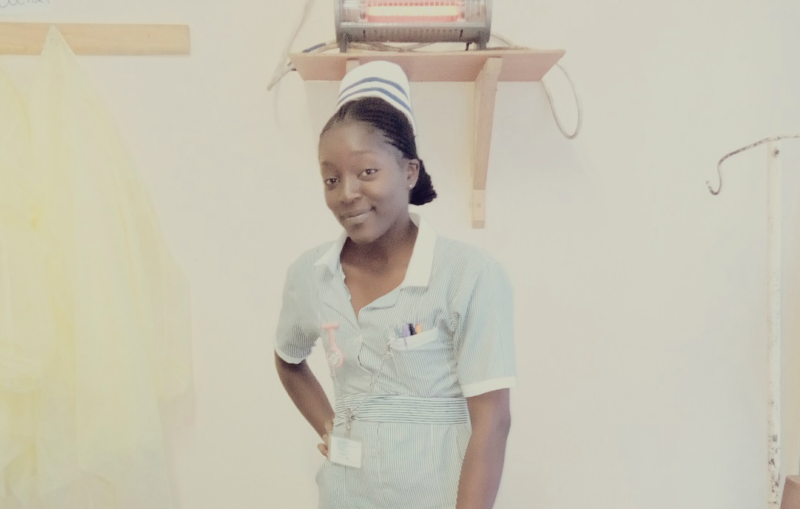 Next, she was able to become a Sunshine Leader, helping to run Sunshine Clubs in Kitwe's Twatasha Ward. Finally, she was able to secure a rare opportunity - the chance to study nursing. To Chileshe, it is clear that her time as a Peer Health Educator and then as a Sunshine Leader influenced her choice of vocation. "Having worked as a sunshine leader in Twatasha, I saw the need for reproductive health education for young people - especially girls." She hopes very much that as a qualified nurse, she can go on helping those members of her community in most need.